The Sahara group’s angry decision on ending all sponsorship of cricket teams and tournaments is going to save it a lot of money. It would save close to Rs 400 crore (Rs 4 billion) annually from its twin decisions to withdraw from sponsoring anything in the Indian Premier League and to not re-bid for sponsoring the Indian cricket team when the contract ends in December. The decision was announced on Monday after various issues with the Board of Control for Cricket in India. The company is expected to lose a little over Rs 100 crore (Rs 1 billion) this year from its IPL franchise of the Pune Warriors team. The group had agreed to pay a staggering Rs 1,700 crore (Rs 17 billion) to get the franchise in 2010, for 10 years. On top of the team’s lacklustre performance, it has been losing money in the venture, as have many of the IPL franchisees. A financial logic also drove its decision not to rebid for sponsorship of the national team once the contract gets over. It had paid Rs 661 crore (Rs 6.61 billion) since it renewed the contract with BCCI in 2010, at Rs 3.4 crore (Rs 34 million) a match. Sources close to the Pune Warriors team say the company will make Rs 110-115 crore (Rs 1.1-1.15-billion) revenue, comprising a share of the broadcasting revenue from BCCI (Rs 55-60 crore or Rs 550-600 million), another Rs 22 crore (Rs 220 million) from in-stadia ticketing and Rs 25-30 crore (Rs 250-300 million) from team sponsorships, apart from miscellaneous incomes. However, BCCI has not paid even the first instalment of the broadcast share money for this year. In contrast, the company has to pay Rs 170 crore (Rs 1.7 billion) each year as payment for winning the franchise. It was this payment which became the bone of contention between Sahara and BCCI. Last year, BCCI agreed for arbitration after Sahara threatened to pull out, saying the yearly franchisee payment had to be reduced. For, argued Sahara, the number of matches each team had to play in the IPL League had been reduced by BCCI, cutting the former’s scope for revenue. However, there was no progress on the arbitration. Sahara, which had paid Rs 55 crore (Rs 550 million) as the first instalment this year, decided not to pay more till arbitration was done. In its discussions with BCCI, it made an alternative offer, to pay 15-20 per cent more than what the Sun group had paid for the Hyderabad franchisee this year (Rs 850 crore or Rs 8.5 billion). That would have reduced their burden every year by around Rs 70 crore (Rs 700 million), helping them to recoup costs faster and change the economics. Instead, BCCI encashed Sahara’s bank guarantee, citing the basic agreement’s provisions. 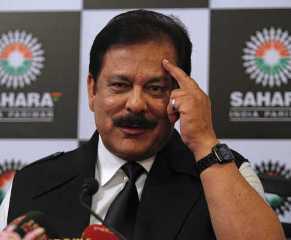 Apart from the payment to BCCI, Sahara has to fork out around Rs 30 crore (Rs 300 million) on team player fees. It has already paid two instalments and dues of around Rs 10 crore (Rs 100 million) remain. Its total cost of running the team is about Rs 200 crore (Rs 2 billion). Sahara accuses BCCI of "betrayal of trust"